Discussion in 'Announcements' started by avatar, Jul 24, 2014. 2. Install it by dragging downloaded xpi-file to browser. 2. Install it by dragging downloaded file to browser. Important note: beta version of Adguard extension for Safari is updated from our server. In Safari 9+ such updates cannot be applied automatically, you should check "Safari" -> "Extensions" from time to time. All extensions will be updated automatically with releases of new beta versions. Create a new thread in the corresponding forum section with [Beta $version] prefix, where $version is extension version that you use. How do I know a new update is out? Now it is not just a list of requests processed by Adguard. This is a complete filter development tool. 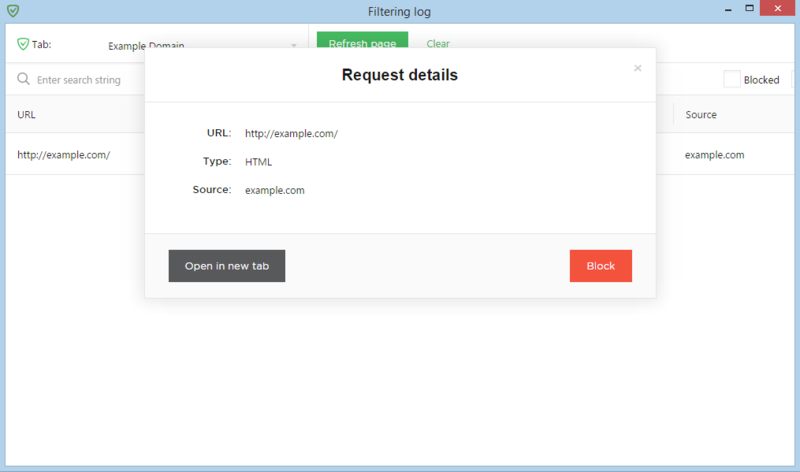 With the help of the Filtering Log you will be able to analyze what requests are blocked or, on contrary, are allowed by Adguard. Analysis is not the only task of the Filtering Log. Just a couple of clicks and you can block or unlock any request. You can open it through the context menu or by clicking on the “magnifier” icon in the extension’s menu. One more important change - Filtering Log is fully functional even if extension works in integration mode. So now you don't have to do all this magic with rename/unzip/install unpacked to install it. You guys should add Beta to the Chrome extension to differentiate between the two. Anyway it's not visible to public. It's available only by the direct link. We are almost ready for release. If everything is good ok with it we will release it on monday. Subscribe to get notified about it. When will it fully support e10s on Fx? Should be ok in the next update. Don't forget about signing the Firefox extension too! 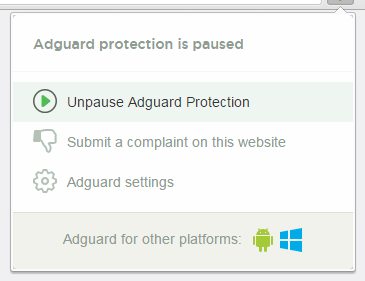 Is Adguard still in review? Gosh, AMO is so slow. We have uploaded our add-on beta version in a private queue just for signing. Stable version is still waiting for full review (more than 220 days now). As I understand they are buried with add-ons waiting for signing and that's why it takes so long. It seems like it's all a disaster in the making. Why would Mozilla begin enforcing extension signing when they don't seem to have ample resources to dedicate to extension signing? More and more as time passes, I lose more faith in Mozilla and Firefox. 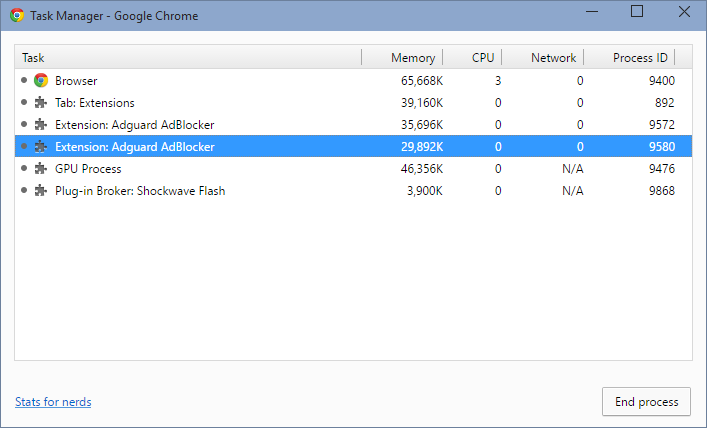 With all the questionable decisions they've been making as of late, no wonder Firefox's userbase seems to be shrinking. Downloaded and install the trail today for Edge, amazing. Works great.